The co-operative takes its name from Saint-Verny (also known as Saint-Werner) the 15 year old son of an Alsatian (or, depending on which story one believes, a Palatinate) wine grower who was the victim of a ritual murder by the Jews in 1287. Miracles were said to have happened in the presence of the body of the young martyr. He was canonized in 1431 and became popular during the 17th Century, after his legend had passed through folklore into the Auvergne. He was adopted as the patron saint of vignerons in 1624 and his image can be seen throughout the Auvergne in the form of a figurine depicting a young, rustic-looking farmer wielding a pruning knife in his right hand with a bousset (a small, barrel containing just a few litres, made by hollowing out a section of root wood from a walnut tree), at his feet. His Sainthood is celebrated every 20th May. Today, the Cave Saint-Verny is the sole co-operative in the Puy-de-Dôme. Originally called Cave des Coteaux it was founded – in 1950 – just outside the village of Veyre-Monton. It would be fair to say that the enterprise has suffered a chequered history, coming close to being dissolved in the late 1980s until it was rescued in 1991 by a 15 million Franc investment from Limagrain, Europe’s largest agricultural seed specialist. A new cellar with 37 temperature controlled, stainless steel tanks replaced the concrete vessels in 1993, and was the first in the region to install a de-stemming machine. 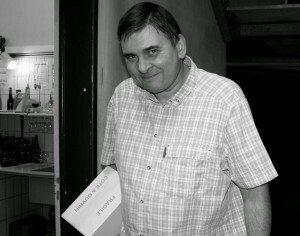 Resident oenologist, Olivier Mignard, originates from a family of vignerons close to Carcassonne. He has been at the Cave Saint-Verny since 1999 and has instigated a rigorous assessment of all the vineyards under his control to ensure that every parcel has a predetermined place within the co-operative’s range of wines. The cellar takes in grapes from 53 communes throughout the département, and has 115 adhérents (down from 308 in early 1990s), meaning an average holding of less than two hectares per member, with the largest delivering 10 hectares of grapes. This is also a factor in understanding why half of the crop is still harvested by hand. With 200 hectares of vineyard, Mignard effectively vinifies half of all commercial vineyard plantings in the region. Given that the permitted yields for the appellation are 55hl/ha, the average yield of 45hl/ha sought is particularly modest. Approximately 80% is vinified as Côtes d’Auvergne, with the balance classified as IGP de Puy-de-Dôme. Given all grapes are destemmed, there is no Beaujolais-esque carbonic-maceration style wines to be found here. Mignard did, however, once experiment with pre-fermentation maceration. The rosés are mostly saignée but can also be produced by maceration, but all are designed for drinking within the first two years of the vintage with the volume and quality of the vintage being the determining factor. Nothing here is systematic. Until 1980, everything produced by the co-operative was sold en-vrac. Since then, they have developed a large selection of wines, incorporating various ranges to cover the different styles, price points and appellations. This forms the basis of the co-operatives range and classified as Côtes d’Auvergne. The red is the most important in terms of production and is a blend of 50% Gamay and 50% Pinot Noir. The Rosé is 60% Gamay with 40% Pinot Noir, with the trio being completed by a tank-fermented Chardonnay. These are light, soif-quenching wines – exactly what they should be and, in a way, they are the most impressive wines in the whole cellar. Simple and honest, full of character, yet still they still speak of their origin. Somewhat limited, but also under sold under Les Volcans is another red wine, produced from young vine Syrah which is sold, as the appellation states, as IGP Puy-de-Dôme. The first grapes were vinified as rosé in 2007 (as was the 2013 vintage which failed to ripen). The wine is raised in older oak and has all the smoky, garrique-like qualities one expects from Côte-Rôtie which lies two sets of hills away to the east on exactly the same latitude. This experimental parcel of vines has inspired the co-operative to begin a wider planting programme of the grape. Fiches for all four of Les Volcans wines can be found at the foot of this page. Consists of a Côtes d’Auvergne Chardonnay along with a red and rosé (both a blend of 50% Gamay and 50% Pinot Noir). Currently a Côtes d’Auvergne Chardonnay and a rosé, with an oaked-aged red of Gamay and Pinot Noir. This Côtes d’Auvergne red is made from small berried, 50 year old Gamay vines grown on volcanic soils that delivers low yields. Fermented and aged in small barrels for 12 months, the profile of the rocks on which is grown is profound. Like the Syrah, above, this is also an experimental parcel that yielded a grand total of seven barriques of wine with the first release from the 2014 vintage. The maiden release should have been 2012, but the vines were hot by hail and in the subsequent season, the newly budding shoots were taken out by a plague of rabbits. It is a wine distinguished by its rich texture and persistent length. 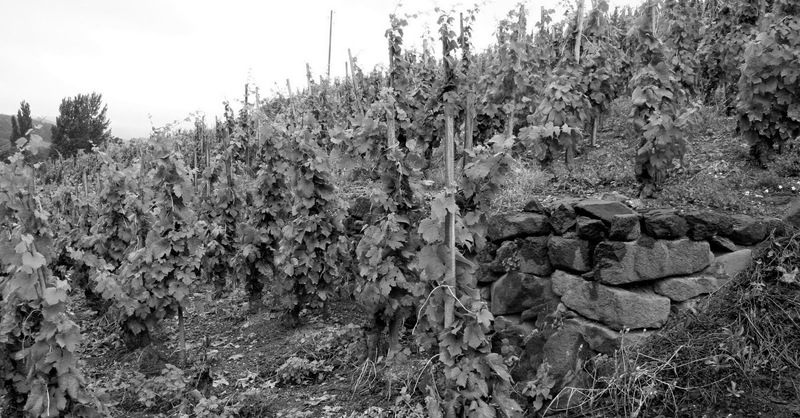 As with Beaujolais, the Côtes d’Auvergne also has a Cru system which encompasses five villages recognised historically for the quality of their wines. They represent an interesting, if tiny, proportion of the vineyard area. Corent can only appear as a Rosé. 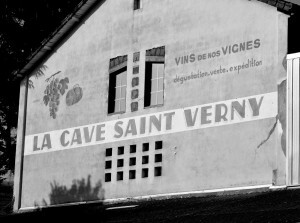 At the Cave Saint Verny it is expressed 100% from Gamay. This first appeared in the co-operatives range in 2007 when retired vigneron Bernard Boulin began to deliver his grapes to the co-op. This is the southern-most of the villages in the Auvergne appellation. Vinified as red only, the grapes here are delivered by a single grower, M. Panel, who has 3.5 hectares of vines. It is the Cru that we are confident enough to follow. Whilst this is the largest of the crus, there are no members in the appellation, with all the growers making their own wine. Recently, however, the co-operative has joined forces with a local producer (some would say the best private grower in the region) who vinifies a cuvee specifically for the co-operative. When a co-operative, such as the Cave Saint-Verny, dominates a regions production, it is essential that the quality is of the highest possible standard in order to secure a reputation for the wines of the Auvergne as a whole. The Cave Saint-Verny is an excellent ambassador, although the fact that a total of 60% of its wines are sold within the Auvergne Region as a whole, demonstrates how parochial the market is for them. Our objective is to give them the wider recognition they deserve.